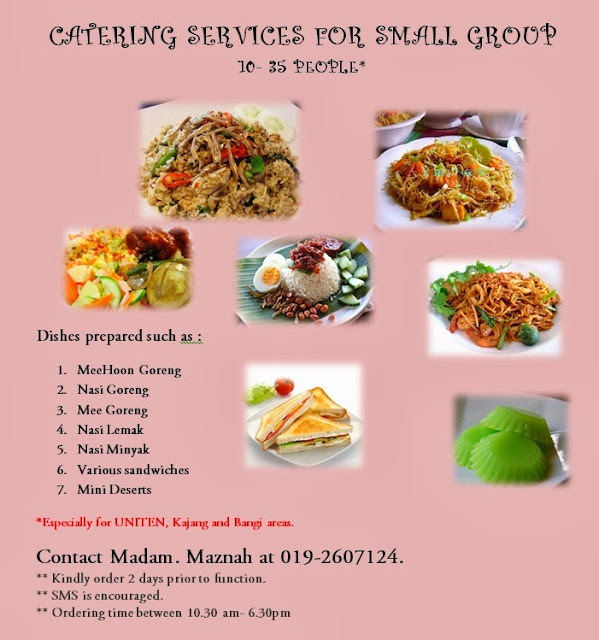 Are you looking for any catering service ? Are your party/gathering is in small group? Yeah !! You may find a quick solution by just deal with Madam. Maznah. Madam Maznah is now opening a small catering service for the group of 10-35 people. Nothing to elaborate much once you had tasted her Best Seller Dish - Nasi Lemak. So, what are you still waiting for? Come lah !! Never try, never know.